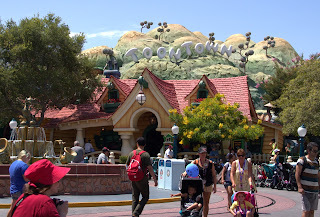 As we were walking through Disneyland the other day and ventured into ToonTown. For those of you who are not familiar with this location let me give you a little bit of background. ToonTown is an area in DisneyLand that is based on the community of the same name in the movie "Who Framed Roger Rabbit?" except this is real and the main citizens are Mickey, Minnie, and their friends. Everywhere you turn you see various interpretations of the same locations you find in every day communities outside of this land of fantasy. Magic Kingdom in Orlando, FL did have a ToonTown as well, but it was removed to make way for the Fantasyland expansion. In the next few posts I will show you more of this community, but first let's address the most logical sign I have ever seen, and the one sign that should probably explain so main drivers out on the road. 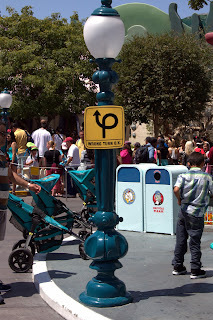 I saw this sign post and immediately thought of all the people who cannot drive straight for anything. I then realized that something like this would make all their driving legal and explain their tendency to cross lanes and swerve erratically. 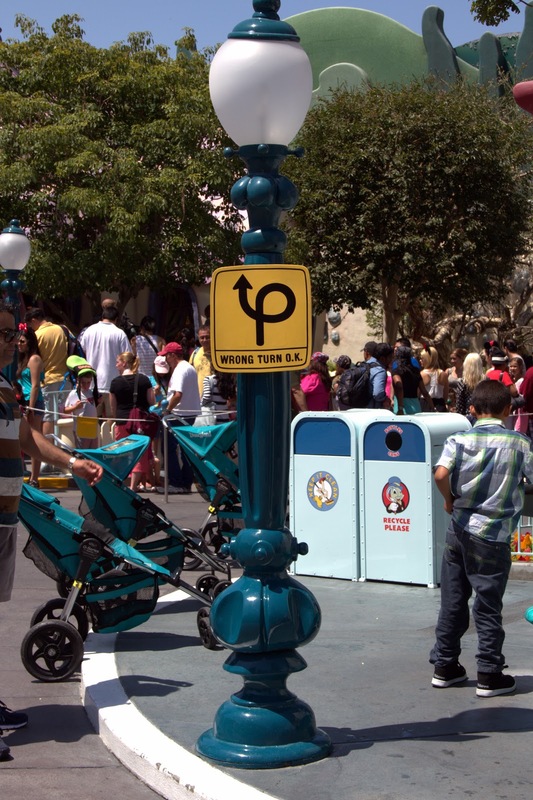 They took driving lessons in ToonTown! BTW, the sign is actually located on the right edge of the circle pictured in the first photo of this post. You can see this with the gentleman with the striped shirt in both pictures. It is so refreshing to see honest signage.